While the budget for deportations has grown substantially over the past four years, the number of actual removals has plummeted. More specifically, according to the Subcommittee, while Immigration and Customs Enforcement’s (ICE) budget for detention and removal budget grew 25 percent from FY 2012 to FY 2015, the total number of aliens it removed plummeted by nearly 43 percent. In FY 2012, ICE deported 409,849 aliens — 180,970 from the interior and 228,879 from the border — according to Department of Homeland Security statistics. The number of both interior and border deportations steadily declined through FY 2015 when ICE deported just 235,413 aliens — just 69,478 from the interior and 165,935 from the border. 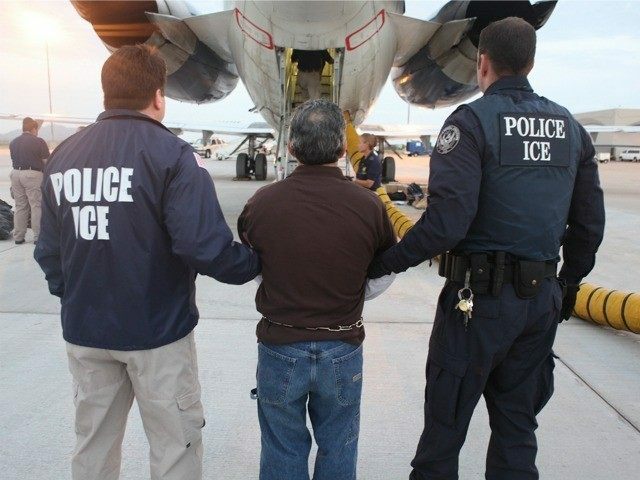 “Put differently, ICE removed nearly 43 percent fewer total aliens from the United States in FY 2015 than it did in FY 2012 – and nearly 62 percent fewer aliens from the interior of the United States,” the subcommittee’s analysis reads. Ironically, as the number of deportations the Obama administration carried out tumbled, its budget for removals and detention continued to grow — from $2,750,843,000 in FY2012 to $3,431,444,000 in FY2015. The subcommittee notes that last year the administration shifted $113 million in funding from ICE’s removal and detention budget. The Obama administration has repeatedly pointed to a lack of resources as the reason for the decline in deportations and its need for enforcement “priorities.” The subcommittee, chaired by Sen. Jeff Sessions (R-AL), says the decline is directly due to the administration’s priority of skirting Congress to water down immigration law. 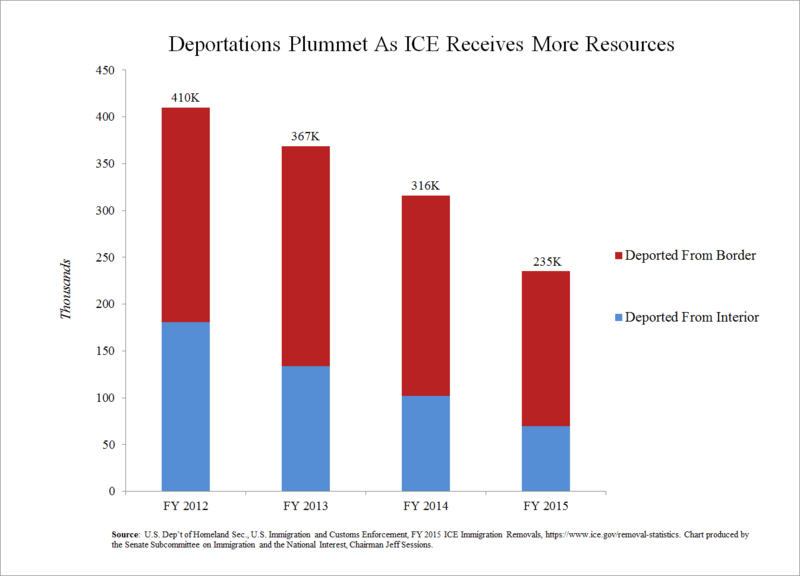 In addition to the incongruous budget and deportation numbers, the subcommittee also highlighted the decline in deportations of criminal aliens — the very type of illegal immigrant that the Obama administration says it is prioritizing for deportation. “ICE removed 235,390 criminal aliens from the United States in FY 2012, as compared with 139,368 in FY 2015 – meaning that it deported nearly 41 percent fewer criminal aliens last year with 25 percent more resources than it had in FY 2012,” the subcommittee’s analysis reads.